Rainfall is intercepted by the tree crown surface, and some raindrops directly pass through gaps between leaves and stem, reaching the ground as free throughfall. Rainwater intercepted by tree leaves and branches is temporarily stored on leaf and bark surfaces. Eventually, this stored water is evaporated into the atmosphere, or flows down the trunk to the ground as stemflow, or drips from the surfaces to the ground as throughfall. Compared to other benefits associated with urban trees, relatively few investigations have focused on the influence of urban trees on rainfall interception and stormwater runoff reduction. Many previous studies investigated the interception loss in continuous trees stands or forest communities, while only a few studies have investigated at the interception loss of trees in the urban environment. Trees in urban areas are exposed to a different environment compared to trees in the forest (Xiao et al., 2000). 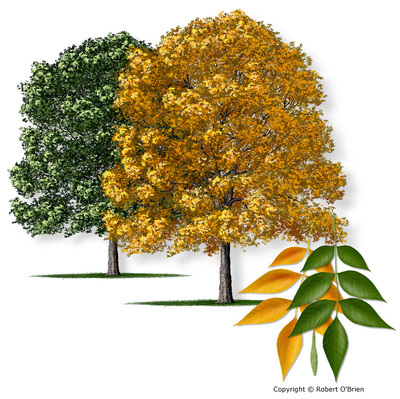 The factors affecting interception performance of trees in urban environments, such as wind speed, evaporation rate, rainfall distribution, and leaf area index (LAI) are different from those in natural forests. 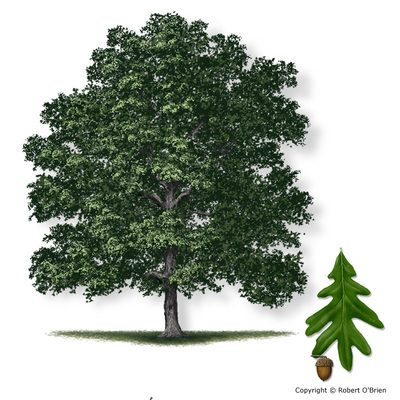 For example, the storage capacity of the tree crown will be impacted by the LAI, which characterizes the plant canopy quantity by measuring one green leaf area per unit ground surface area. LAI differs among species and seasons and has significant impacts on processes such as photosynthesis, respiration, rainfall interception, and evaporation (Asadian and Weiler, 2009). 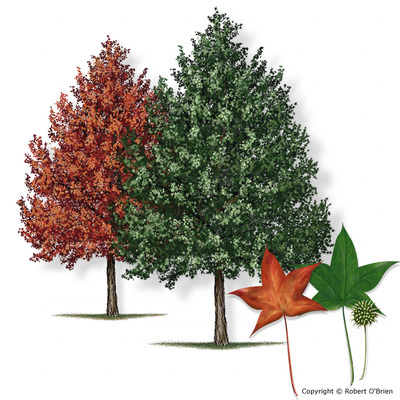 Deciduous trees lose their leaves during winter seasons, thus allowing a significant amount of throughfall, while conifers would intercept some rainwater during the winter seasons because they maintain their leaves (Asadian and Weiler, 2009). 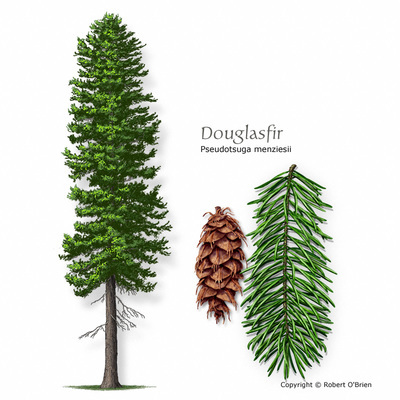 It was reported that the average canopy interception for Pseudotsuga menziesii (Douglas-fir) and Thuja plicate (Western red cedar) in the District of North Vancouver, British Columbia was 49.1 and 60.9%, respectively (Asadian and Weiler, 2009), and interception by the street and park trees in Santa Monica, California ranged from 15.3% for a small Jacaranda mimosifolia to 66.5% for a mature Tristania conferta (Xiao and McPherson, 2003). 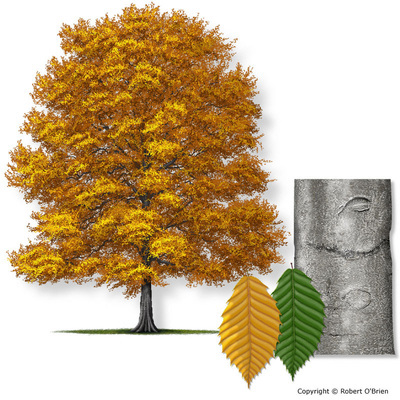 Distinguishing the potential rainfall interception performance by different species in the urban environment is significant, as it provides information to support tree selection and decision-making process for the design of new urban developments, as well as to determine the potential monetary values associated with different tree species. Studies that differentiate the performance of rainfall interception on different species are relatively few. Thus, it is important to adapt the previous studies that focused on interception loss in forest communities to allow a better understanding of the interception process of trees species in the urban environment, as well, to distinguish the potential performance among different tree species. 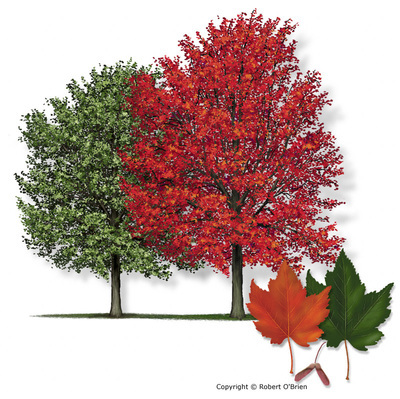 Below are some examples of variations among trees species regarding leaves morphology and crown shape.